Health issues continue to plague Milwaukee. Bucks center Pau Gasol is expected to miss a month with an ankle injury, according to an ESPN report. 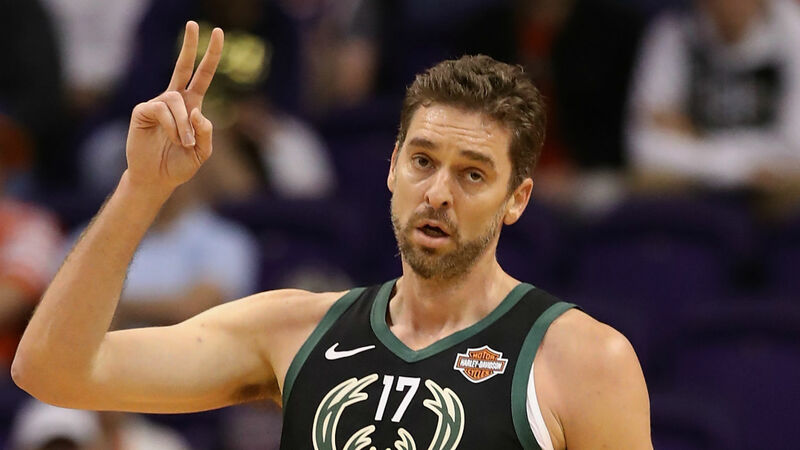 Gasol has only averaged 1.3 points and 3.3 rebounds in his three games with Milwaukee since signing with the Bucks early March. But some key players could also miss some important games in the postseason. Nikola Mirotic (thumb) and Malcolm Brogdon (foot) could reportedly miss some games in the first round of the playoffs as well. The Bucks are 54-19 and hold the best record in the NBA this year. But a lack of depth due to injury could spell defeat for them in the playoffs. Milwaukee will face Cleveland on Sunday at 4:30 p.m. ET.